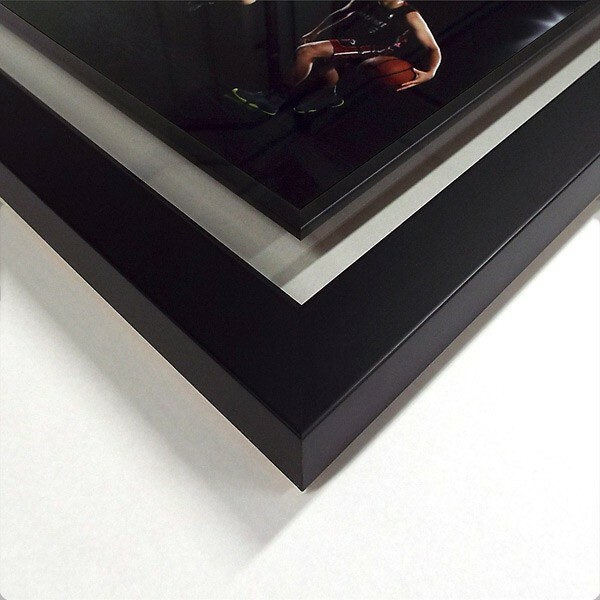 The Illusion has the craftsmanship and timber surrounds of the Trade range gallery frame with the contemporary twist of glass instead of a card mount. 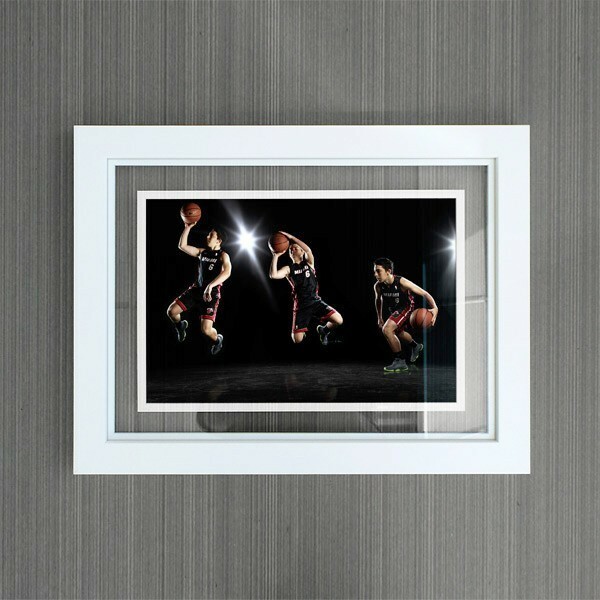 This creates the "illusion" of a floating image, hence the name. This concept was designed to draw the image into your room and your room into the image as your wall becomes part of the image`s presentation. This is a difficult piece of art to produce but the Experts at Premier Image have been crafting quality examples for our customers for many years. Please note 5mm of the image is hidden behind the inner fillet.